Today was my first day off. My interpreter for tomorrows workshop was my guide today. 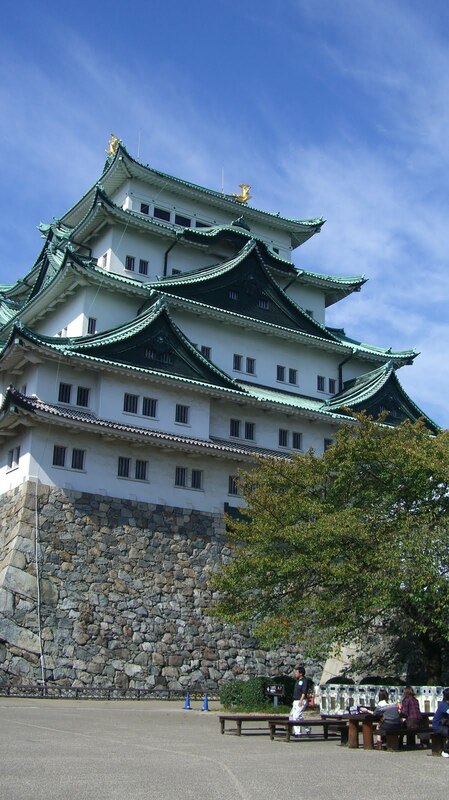 We first went to Nagoya castle. It was beautiful and very interesting. After visiting the castle we went to a cloisonne shop and museum that showed how they made it and many beautiful old pieces. 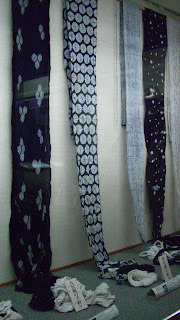 From there we went to an area where they do Tie dying or Shibori. They showed a video in English for me and we were able to sit down and watch to elders working on two different types of Shibori. 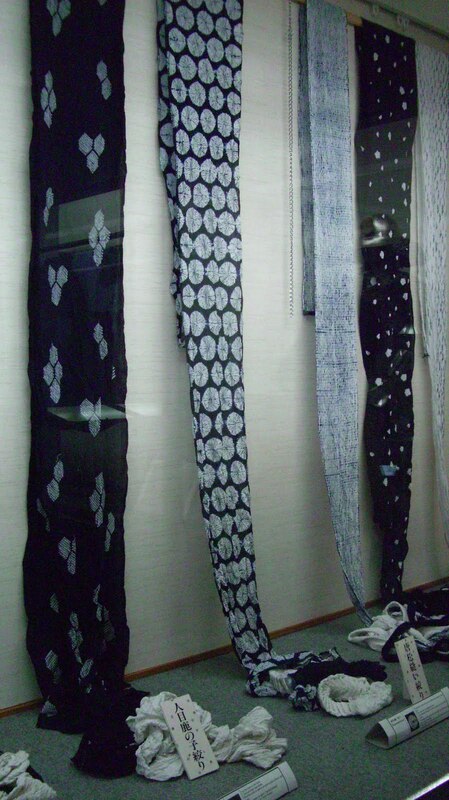 We walked along the street where there were several Shibori shops. There were some amazing materials for sale here. The picture on the left shows the tied material at the bottom of the finished print. Tomorrow will be my Nagoya workshop. You sound like you are enjoying your trip. Thanks for sharing your adventure with us. I also enjoyed reading your article about the tatters and their unique shuttles.